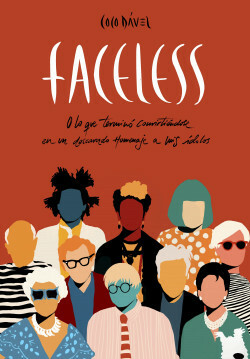 This book was born out of the need to collect several faceless portraits that emerged from a successful mistake on a Friday afternoon in 2015: Faceless Collection is a series that mixes elements of pop and neorealism to immortalize singers, filmmakers, artists and other famous people. These are fanciful, colorful, informal and cheerful works with which the author dissects the universe of each character, creating “constellations” of artistic influences and everything that has also marked her life and career as a painter. A heartfelt tribute to a bunch of unabashed geniuses by one of the most influential Spanish artists of our time. A tribute to the greatest icons of art and culture by the hand of an illustrator who has become an influencer.